Events Shipping On Time, Every Time, Everywhere. Worry ﻿Free. 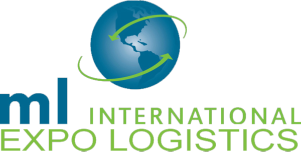 ML International is a freight forwarder, specializing in Event and Exhibit Logistics, Trade Show Shipping, and Booth Shipping for Trade Shows, Conventions, Special Events & Exhibits, including theatrical and museum exhibits. Complete Shipping Solutions - Domestic and International. No job is too big or too small.